We have a lot of plants, each with their own story and history. 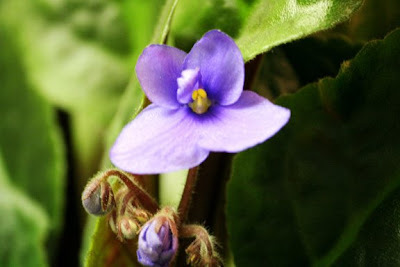 Meet the African Violet. It's beginning to bloom, again. This African Violet came from a planting sent when my mother passed away. There were actually quite a few plantings that we kept. We couldn't just throw the plants away. 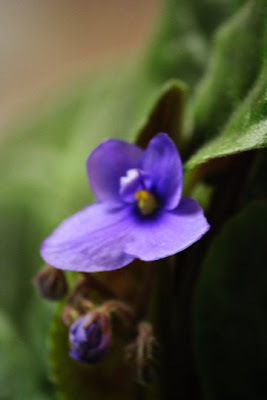 The African Violet started blooming a little more than a year ago after Shawn repotted it. It has thrived and that bloom continued for months, like 10 months. I think the plant was so grateful to have found a home that it gave us such a beautiful bloom for so long to thank us. And now it is happy, healthy and whole in its home and is about to grace us again.